The Jamal Khashoggi affair has captivated an American nation that believes firmly in a free press, and therefore, was horrified by the murder of the Saudi journalist, but the saga continues. The Trump administration has placed sanctions on seventeen Saudi citizens that they say are guilty, or at least accomplices, in Khashoggi’s death, but has stopped short of blaming Saudi Arabia’s young leader, the Crown Prince Mohammed bin Salman (known as MBS). The latest bipartisan Senate resolution, which received the support of high-profile U.S. Sens Lindsey Graham, R-SC and Marco Rubio, R-Fla. in President Trump’s GOP, asserts that MBS was complicit in the murder. The debate continues to rage in Washington, and so, the troubling questions must be asked. What if this charismatic leader of an Islamic monarchy with a strict system of Sharia-based laws is guilty? What if MBS, who rules a country in which hands are cut off for shoplifting, in which a Muslim can be killed for abandoning Islam, and in which husbands are routinely allowed to hit their wives, is found guilty of ordering the Khashoggi execution? Should the Trump administration censure him and seek to see him overthrown? Let me be clear that the writer asking these questions is an Israeli, but also an American. I was born and raised in a pretty tough place called Brooklyn, but twenty-six years ago, I moved to a tiny country called Israel, which, as always, was struggling for survival in a region called the Middle East, which is far more brutal than Brooklyn. The values of almost every country in the Middle East are barbaric when compared to Western norms, but in order to survive and even thrive, we Israelis often need to cooperate, even covertly, with those whose values we find reprehensible. Let’s place all of this in historical context. The Khashoggi killing, which may have been ordered by the Saudi leadership, replicates killings that are carried out frequently in many countries around the world, with equally ruthless despots. In Erdogan’s Turkey, for example, the country in which the Khashoggi murder was committed, unfriendly journalists have been known to disappear at a moment’s notice, at the whim of that nation’s increasingly dictatorial leader. The geo-political lessons are abundant. Let’s not forget that the non-Communist allies in World War II cooperated with the Soviet Union’s Joseph Stalin, who was guilty of far more numerous crimes than the one Khashoggi murder that which many claim MBS was involved. Despite his huge crimes, Stalin was a full partner with Franklin D. Roosevelt and Winston Churchill in bringing about the downfall of Adolf Hitler and his Nazi movement in Europe. FDR chose to work together with Stalin, despite his obvious widespread brutality. In foreign policy, a wise leader must make priorities based on the full picture. Defeating the Nazi menace and halting the atrocities was far more critical than giving Stalin a report card for his indisputable human rights crimes. Yes, we have been in this before. President Jimmy Carter abandoned the Shah of Iran, who was ruthless in suppressing his enemies, even though the Shah broadly cooperated with the US, and even with Israel. In his stead, we got the even more ruthless, America-hating and Israel-hating Ayatollah Khomeini, along with his razor-focused goal of exporting his Islamic revolution and placing the nuclear bomb in his, or his successor’s fanatical hands. As with Carter’s failure to adequately back a flawed ally, President Obama abandoned the cooperative Egyptian President Hosni Mubarak, who had ruled his nation with an iron fist, and his replacement was the fanatical, jihadist Muslim Brotherhood. It is critical that America get it right on this issue before events quickly spin out of control and steps are taken that will be regretted later. Remember that Americans, and especially Israelis, live in a very tough world in which most people don’t always share our values. If we punish everyone who doesn’t act according to our values, both the US and Israel will have no allies in the world. That would be contrary to our interests. The guiding principle for an American leader should always be “Project American values but protect American interests”. Saudi Arabia, as led by MBS, has been a very good ally for America, and increasingly for Israel, in the very dangerous Middle East, in which, and from which, terrorism is spreading, throughout the world, and Shiite Muslim Iran is the primary perpetrator. The Sunni Persian Gulf nations, led by MBS’s Saudi Arabia, are even more concerned about the Iranian regime than we Israelis are, even though we are the primary (with America being the secondary) target of their fanatical hatred and megalomania. When seeking to improve the human rights policies of allies with less than stellar history, one must lead and gradually influence mainly by example, since preaching and sanctioning can often backfire, bringing about a far worse result than that intended. 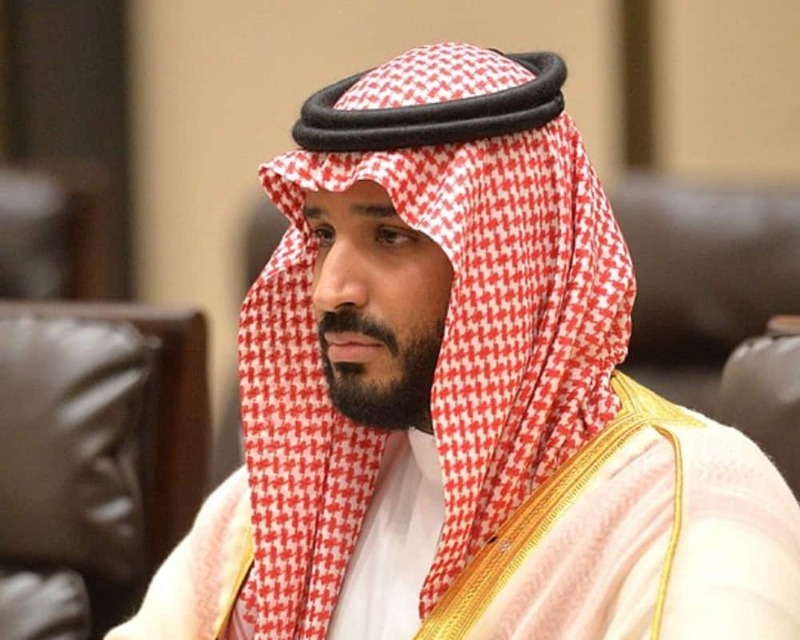 MBS won’t change his behavior so quickly, even though there have been some small, yet relatively significant social changes taken under his leadership. However, harshly sanctioning him will only disrupt the vital Saudi-American-Israeli axis, which is working productively towards the critical goal of stopping Iran’s race to attain the nuclear bomb and increase its exporting of terrorism around the globe. Removing MBS would also cause damage to the American economy, since there is great cooperation with the MBS-led Saudis. The Trump administration has made a strategic decision based on this line of reasoning. MBS is clearly better than what came before him, and therefore, in the pursuit of cooperation and stability, it is highly unlikely that President Trump will encourage a change in the current Saudi leadership. Once again, that decision is an expression of smart and far-sighted leadership, based on the historically-proven maxim that I spoke about earlier, “Project American values, but protect American interests”.